I am Associate Professor at the School of Electrical and Information Engineering, Faculty of Engineering and IT, Honorary Associate at the Faculty of Education and Social Work The University of Sydney and Research Fellow of the Learning Innovation and Networked Knowledge Research Lab (LINK), University of Texas (Arlington). My areas of research are learning analytics, software for collaborative and personalized learning, technology to improve the student experience and teaching practice. I have expertise in the areas of intelligent tutoring systems, learning design, data collection in virtual learning environments, analysis of collaborative work, flipped classroom, and the integration of technology and pedagogical strategies. In these areas I follow an applied research approach with naturalistic experiments in real world scenarios. I am the director of the Learning and Affect Technologies (LATTE) Research Laboratory and member of the editorial boards of the IEEE Transactions on Learning Technology and the International Journal of Social Media and Interactive Learning Environments. 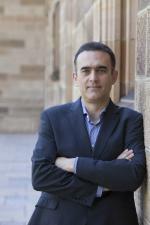 I am also member of the executive board of the Society for Learning Analytics and Research, and member of the Association for Computing Machinery (ACM) and the Australasian Society for Computers in Learning in Tertiary Education. The following video recorded as part of the LACE (Learning Analytics Community Exchange) project shows my view of this area and my predictions or the next five years (2016-2020) in Australia. My teaching duties include courses on Computer Systems in which I use technology to support active learning methods. The following video describes how learning analytics can inform teaching practice (part of the MOOC Learning to Teach Online). For more details about my work check my publications, Projects and Grants, recent talks, presentations, and teaching activities. BS/MS in Computer Science by the Polytechnic University of Catalonia, Spain. PhD in Computer Science by the University of Colorado at Boulder. If you are looking for supervision opportunities, check the description of the available projects. Presentation at the Australian Curriculum Studies Association Symposium. Title: “Exploring hands-on multidisciplinary STEM with Arduino Esplora”. Sydney, 14 October 2016. This Home Page by Abelardo Pardo is licensed under a Creative Commons Attribution 4.0 International License.